Despite 2012 being the year Alfred Hitchcock was consistently celebrated; with a retrospective at the BFI in London, including restorations of his early, silent films – the ‘Rescue the Hitchcock 9’ project, which was part of the Cultural Olympiad; and two films The Girl (Julian Jarrold) and Hitchcock (Sacha Gervasi, released on 8 February), I still didn’t manage to catch up on the great director’s entire work. 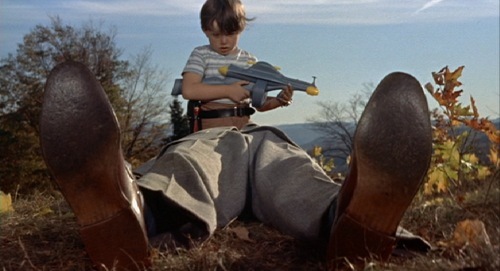 So, to continue my efforts The Trouble with Harry (1955) was this week’s Hitch selection. Set in a quiet and picturesque New England town, the film opens with Captain Albert Wiles (Edmund Gwenn) talking to himself as he seeks the victim of a morning’s hunt, whilst young Arnie (Jerry Mathers) plays alone nearby. The Captain’s chatter can be taken as an idiosyncrasy of the character or more likely – a self conscious way to guide the viewer as to his thoughts and motivations as he goes about trying to decide what to do with Harry’s corpse. 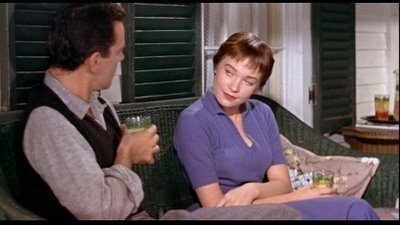 A true dark comedy in keeping with Hitchcock’s oeuvre, but without any pretensions towards being his usual thriller; the main attraction in this uneven film is the debut of Shirley MacLaine as Harry’s widow, Jennifer Rogers – mother to Arnie. MacLaine manages to raise herself above what results as an unnecessary romantic through-line, pretty much upstaging the arrogant (and annoying) Sam Marlowe (John Forsythe) – at least until the inevitable matrimonial union. Its undoubtedly enjoyable and The Trouble with Harry may feature some gorgeous landscape shots, unusually for the studio-loving Hitch, but it can’t escape the throwaway nature of the script which tries too hard to tie up all loose ends. Starting this week at Filmhouse and the BFI Southbank is a retrospective of works by esteemed director, Roman Polanski, including some lesser-seen early gems. 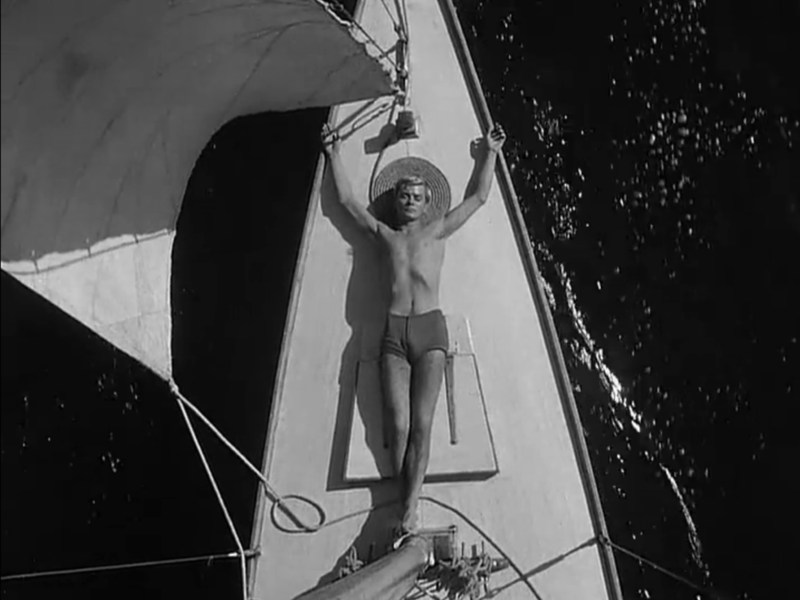 Knife in the Water (1962), his first feature film as director is a tense tale with a very simple plot – a couple go sailing and take a hitchhiker with them. What results is a struggle of power as Andrzej (Leon Niemczyk) essentially shows off in front of their student guest, testing the loyalty of his patient wife, Krystyna (Jolanta Umecka). 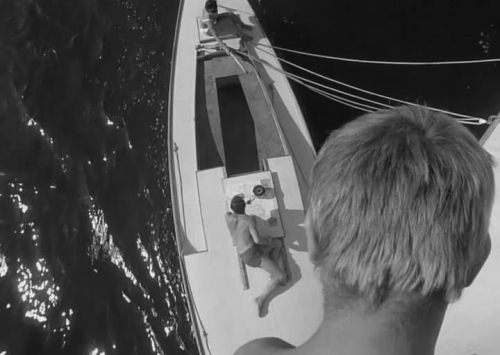 The claustrophobia of the boat – staying onboard and being confined by the water surrounding them – is suggested perfectly in Polanski’s use of deep focus, never letting the immediate interactions lose association with the activities of the other character(s). There’s also a wry sense of humour on display such as a visual gag that sees the unnamed ‘young man’ as Christ, implying the initial parent-child dynamic of this unlikely trio. At the screening I attended in Edinburgh the audience were also most amused by the jibes at Krystyna’s inflatable crocodile and her unexpected deception of her oblivious husband. With a screenplay by Jerzy Skolimowski, one couldn’t help noticing his influences elsewhere, such as Andrzej listening to a radio broadcast of a boxing match and the liberal use of frenetic Jazz on the soundtrack for moments of high tension. Skolimowski also co-wrote the screenplay for Wadja’s Innocent Sorcerers (1960) in which he appears as a boxer, (alongside Polanski as a musician) making Knife in the Water a clear product of the director’s then regular collaborators amongst the Polish Film School. 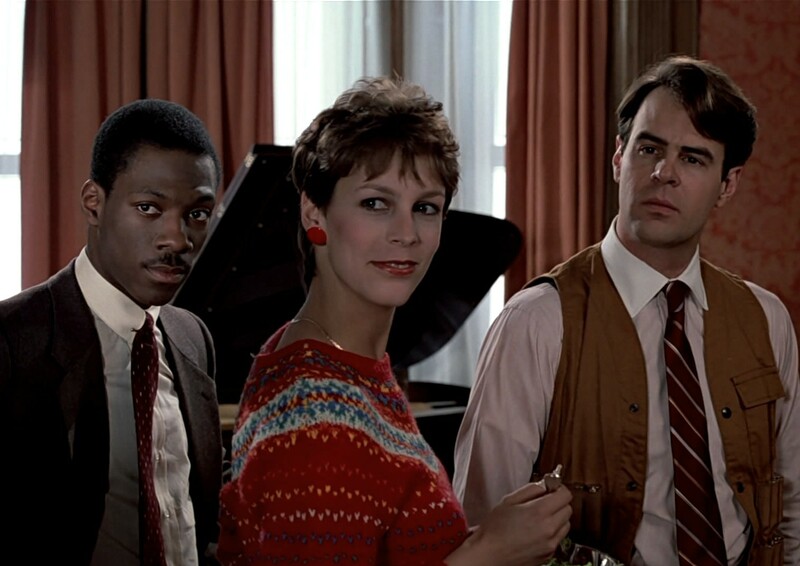 Also watched: John Landis’ comedic take on The Prince and the Pauper, Trading Places (1983) which brought to mind the legacy of slavery (now with added pop culture thanks to Django Unchained) in its depiction of men’s clubs staffed exclusively by African Americans.